"Both Chelsea and Sarah were wonderful and made finding a home and making a big move from Seattle very smooth and fairly stress free." "Savvy boss! I would never want to purchase or sell a house without her in my corner!" "Sarah and Chelsea are amazing. They are super knowledgeable and will go to war for you. There are no others we would recommend more. We are so grateful for them." "Awesome partnership, would highly recommend. Fast response for everything and explained every step of the process." "Thank you for helping us find our first home. You were both amazing!! We cannot imagine going through this process with anyone else. You both made our first time home buying experience an excellent one! You are both very good at your profession! We will definitely recommend you to friends and family." "Thanks so much for all your care and attention. Your expertise and your companionship make the day! And your enthusiasm and positive energy!" "They are AMAZING! They both go above and beyond to help you through the process and answer all your questions. They were both quick to respond to both email and text." "Chelsea and Sarah went way over the top in delivering excellent customer service. They are very personable, dependable, and fun to work with." "We loved working with Sara & Chelsea! They showed us properties that fit our criteria and budget, made scheduling walk throughs a breeze and are super fun! Would definitely recommend them to list your home or help you find a property!" "Since I used to work for Berkshire and liked everyone, I knew I had to choose one of their agents. Chelsea & Sarah were/are fantastic and we would definitely recommend them to anyone who is looking to buy or sell a home." "The ladies at C+S were amazing. They listened to what we were looking for and immediately started hunting for the perfect house. They communicated with us via emails and text. It didn't take long for them to find exactly what we wanted. They were with us every step of the way and they were always available to answer any questions that we had. I really feel like these ladies took the time to get to know us and were genuinely trying to find us a home that we would love!!" "They were exceptional. My home sold quickly.They were patient with me as I kept changing my mind about what I wanted to buy. They were on top of available property. Enjoyed working with them and love the perfect house they found for me"
"I thought I understood the process of buying a home, but it turns out I needed a lot of help. Sarah was there for us every step of the way. She treated us so well that I began asking her questions that should have been directed to other parties (lender, underwriters, etc) and she would find the answer faster than the people who should have already given it to me. I've never worked with anyone in any industry that I could give a higher recommendation." "Chelsea and Sarah were phenomenal! They were knowledgeable, always available, patient, and kept us on track. They made a complicated and stressful process easy, and we always felt like we had an advocate. "Chelsea and Sarah were miracle workers. They did the impossible with us. We had 3 days to find a house and put in an offer. Not only did they have a bunch of houses lined up to see but we found a house, had our offer accepted AND had our inspection in 3 DAYS!!!! It was a stressful move for us and they supported and helped us every step of the way. We were even able to close within 35 days. They were amazing and i tell everyone who will listen." "Sarah and Chelsea took what I expected to be a drawn-out, confusing, and intimidating process and made it easy, educational, and shockingly painless. Not only is it fun to work with them because of their bright and engaging personalities, but it's comfortable and reassuring because of their obvious expertise and hard work. Sarah was in regular contact with me throughout my house search -- in fact, she was so on top of things that she called me to tell me about an exceptional house (which I ended up buying) less than thirty minutes after it came on the market. Through the entire process, there was excellent communication, excellent information, excellent advice and recommendations, and the purchase was wrapped up quickly and efficiently. I highly recommend working with Sarah and Chelsea!" "Chelsea & Sarah made this entire experience so low stress & enjoyable! I was nervous about understanding the process & remembering all the details, but they were right by my side the entire time. It felt like I had 2 best friends to help me every step of the way." 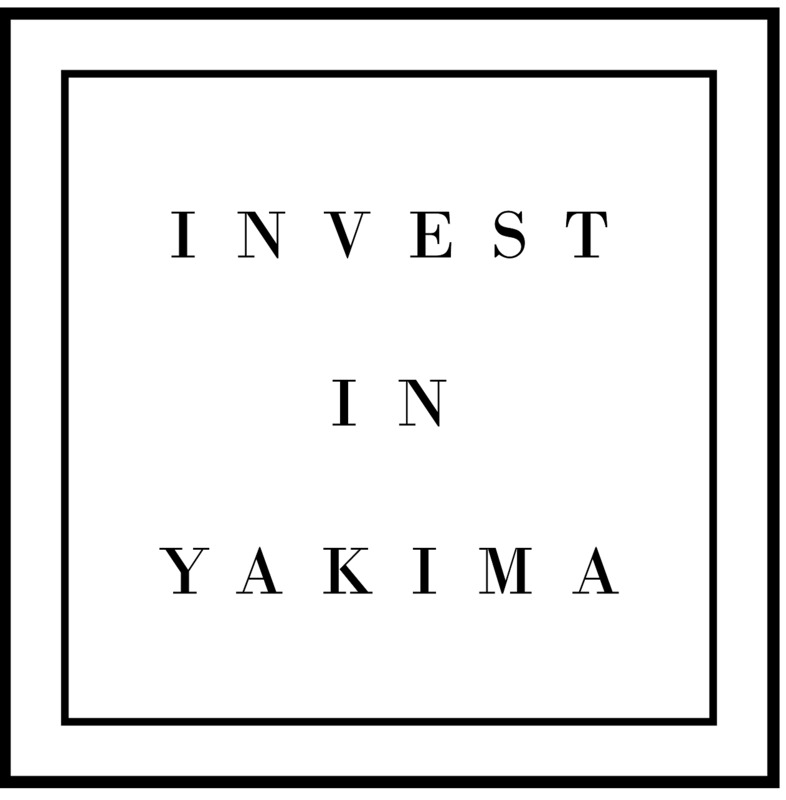 "I loved my experience with Invest in Yakima! Sarah and Chelsea are knowledgeable about the area, have outstanding passion and were great at communicating the process and learning my wants and needs." "I can say enough about Sarah, her work ethic, and her ability to understand and provide exactly what we were looking for. We've been looking to buy a home for the last couple years and until Sarah started working with us it never felt like we actually wanted to go through the process. Personally I hate the entire deal.. but Sarah made it painless. She is very knowledgable and understands how to protect our interests. Everything was presented to us on time and well organized. She was always available and very clear in her communication with everyone involved. In general she is the kind of person that really enjoys what she does and it allows her to put a lot of care into her work. We were so impressed. I couldn't recommend her more"
"Chelsea and her partner Sarah helped us buy a nice home, then sold our condo for us. She did her research, priced it right, put together an amazing internet listing (making us not so certain we really wanted to seel the condo after all), then sold it for the listed price within a few days. She and Sarah worked hard getting all of the details of the purchase just right and were there at closing. I highly recommend her." "Chelsea and Sarah sold our family's first home. They helped us to navigate not only the maze of paperwork and marketing plan, but they also respected the emotional process and went above and beyond every step of the way. They are educated professionals who clearly strive to provide a superior level of service for all buyers and sellers. I highly recommend this team!" "Chelsea and Sarah were absolutely amazing! We had a very tight timeline and found our house in less than two days. Best team ever!" "Sarah and Chelsea made the selling of our home and purchasing another so painless. As you may know, when purchasing or selling, things tend to come up, this is where they shine. Their knowledge and expertise truly put them a step above the rest. They will go above and beyond their duties to get you in the home you want." "Chelsea & Sarah, two great ladies. Work great as a team and very caring about our needs. Thank you." "Over the course of the last 8 months, Sarah has always gone above and beyond what is expected of a typical agent/buyer relationship. She has an exceptional understanding of the local market. My husband and I both always felt that she was very straight forward with us. She answered our questions promptly, and when she wasn't sure, she didn't hesitate to refer the question to a broker or another appropriate professional, be it the department of ecology, irrigation, taxes, etc. She has spent so much time finding things out for us regarding the properties we were interested in. When a problem was found regarding a property we were very much interested in, she spent so much time and energy on the phone and in meetings trying to help us get it straightened out. It was very clear that she wasn't just interested in selling us a house, but she was doing her best to find us the home that was best for our family. We are so impressed with her integrity and professionalism. We wouldn't hesitate to recommend her to anyone, buyer or seller!" I refer them to everyone I know! "I loved my experience with Sarah and Chelsea. They were great at walking through the process of buying my new home. I refer them to everyone I know!" "Sarah was very helpful and supportive. Always patient with my questions and the time it took me to find the right home. Pleasant to work with and highly recommended!" "Berkshire Hathaway & its entire team provide not only superb service at every level, but they also support each other and have the best marketing!! When selling, or buying, this company has more to offer than any other. Our agents handled every detail with excellence." "Absolutely! I already told our friends and associates. We will use their services exclusively for all our real estate needs." "Great attitude, honest opinion, and very knowledgeable of the market and area. She helped me sell my house for a profit within a day of listing and in turn had a very satisfied buyers. "Agents were polite, very professional, always courteous and very knowledgeable in their presentations of showing homes. They stayed on top of all necessary situations.